Keeping the house organized is a huge task and things which make this chore easier are always welcome. It is an added advantage if you can make these things at home. This DIY laundry pedestal makes your wash area look organized and also keeps your clothes sorted. It is an easy method and requires only some basic wood and paint skills. It also teaches your kids to sort out their laundry into whites, dark colors and any other category you might like to have. This DIY laundry pedestal is a god sent for people who like their homes organized and sorted. It will also save so much of your time on laundry day as you do not have to segregate all the clothes.Just check what load you want the pedestal to support and get tools accordingly. 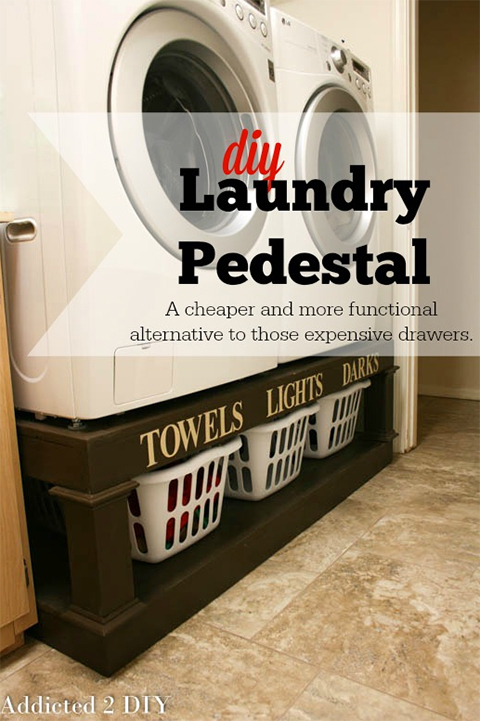 DIY laundry pedestal will make your life so much easier and will add to the fun.